The armchair shown here is also available out of our showroom but not included in delivery. Please order separately! Fitting footstool for the Bertoia Diamond armchair from Knoll International. The stool can only be ordered fully upholstered. 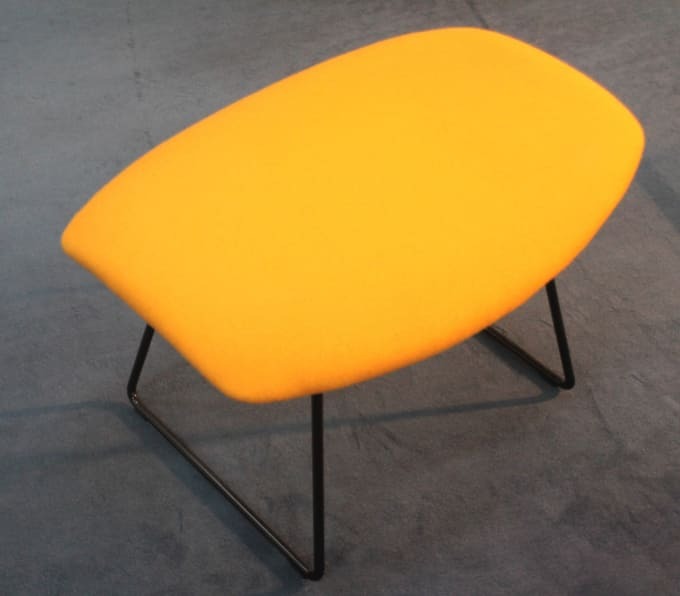 The Knoll logo is embossed in the frame of the stool. Welded steel frame in various designs. The full upholstery is fastened with hooks. Many different fabrics are available for the upholstery. Do you have a question about "Bertoia Diamond Ottoman"? How can we contact you?